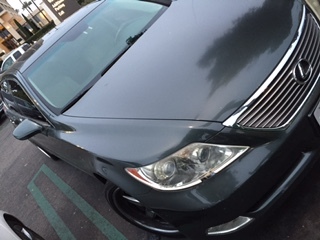 Eight years ago, I purchased Stella, my silver green Lexus. 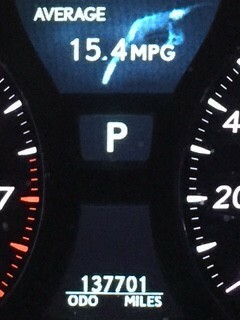 In the last 8 years, we have traveled over 137,000 miles at an average of 15.4mpg. At 20lbs of carbon monoxide per gallon, we have put almost 180,000 lbs of carbon monoxide out there. Sorry to the atmosphere but I didn’t have many choices back in 2007. Tomorrow, I am trading Stella in for a zero-emissions Hydrogen Fuel Cell Hyundai Tuscon. 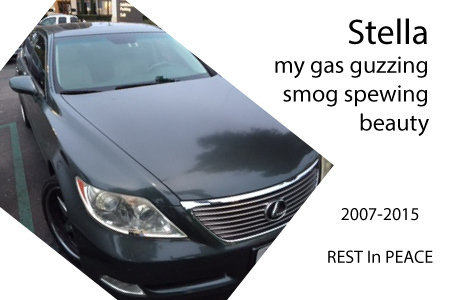 It makes financial sense because the cost of operating my Lexus (fuel and maintenance) was about $666/mos. The Hyundai will be about $500 a month (fuel and maintenance included). But most importantly, this Fuel Cell Vehicle makes zero emissions if you don’t consider the source of hydrogen (which can eventually be generated by non-hydrocarbon sources). What is the exhaust instead of methane, nitric oxides, and other pollutants? It makes pure water in a chemical reaction. Just water. Oh, and I get that carpool sticker and a $5,000 rebate. So say goodnight, Stella. Internal combustion was fun while it lasted and I will miss the roar of your explosions under my bonnet. But it was time for a change. Will this be the future? We’ll see. But now my environmental karma will be a bit cleaner as I and the new girl go forward.